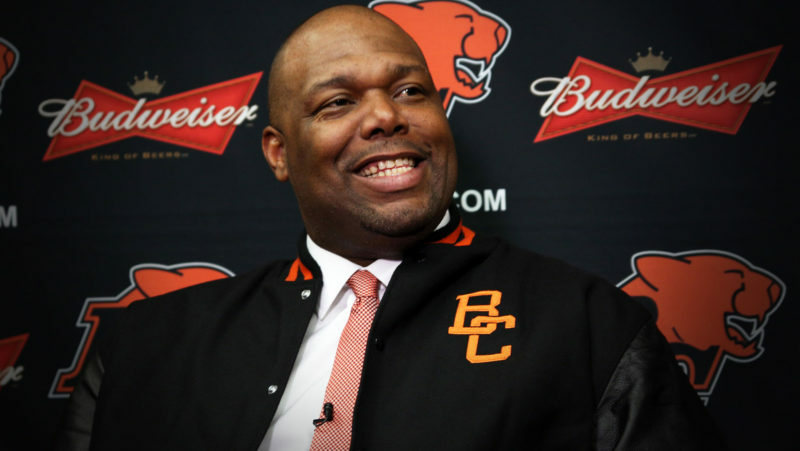 After four days of BC Lions rookie camp, the entire squad of Leo hopefuls hit the field Sunday morning for the first of two practices on the opening day of training camp in Kamloops. The Lions released six players on Saturday afternoon, including defensive linemen Abraham Wright and Scott McCuaig, defensive back Mike McEachern, linebackers Geno Johnson and Andy Shantz, and running back Mickey Dean. In keeping with the annual training camp tradition, weather conditions that ranged from torrential downpours earlier in the week to sun on Friday afternoon leveled off on Sunday morning as clouds and breezy conditions greeted 78 Lion hopefuls. Sunday morning’s session was a marathon affair, running more than two and a half hours in length. As noted by many in attendance, both no-huddle and team sessions were more up-tempo than in recent years. In addition to directing traffic among fellow second team receivers during the morning session, slotback Matt Chapdelaine had a couple of nice catches over the middle where others are reluctant to tread. 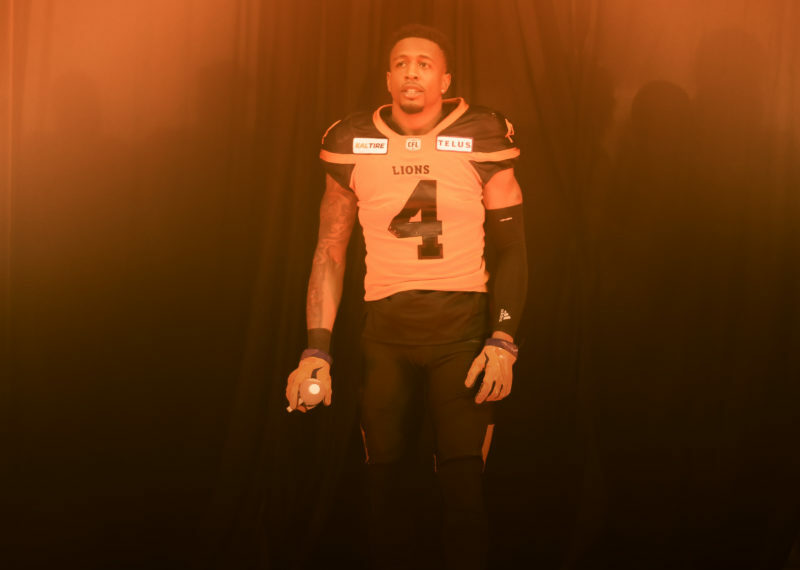 Not to be outdone on defence, safety Tad Crawford notched a highlight reel interception during the morning team session while fellow safety candidates J.R. LaRose and Jason Arakgi notched picks of their own in the afternoon as did rookie Dominique Williams. A slimmed-down Jeremy Gibbs showed some impressive speed at defensive end during the second practice after sitting out the first round of on-field action. On the offensive side of the ball, Jamal Robertson demonstrated why he was such a significant off-season acquisition with some remarkable runs during the inside run and team sessions, one of which drew applause from the sizable crowd in attendance at Hillside Stadium. Not to be outdone, fullback Jamall Lee kicked off his first CFL training camp with another big run during the team session. Notable one-on-one scuffles included centre Dean Valli and linebacker James Yurichuk in the morning practice and some heated fisticuffs between receiver Darius Passmore and halfback Darren Toney. Richard Jones (hamstring), Anton McKenzie (hamstring), Robert Jordan (ankle), Dominic Bolden (knee). Always a popular feature in training camp reports is the daily menu review. Lunch at Thompson Rivers University consisted of chicken and beef burgers, pasta salad and an assortment of cookies and other sweet treats. Dinner featured a hearty Italian feast of spaghetti, rotini, garlic bread and salad. 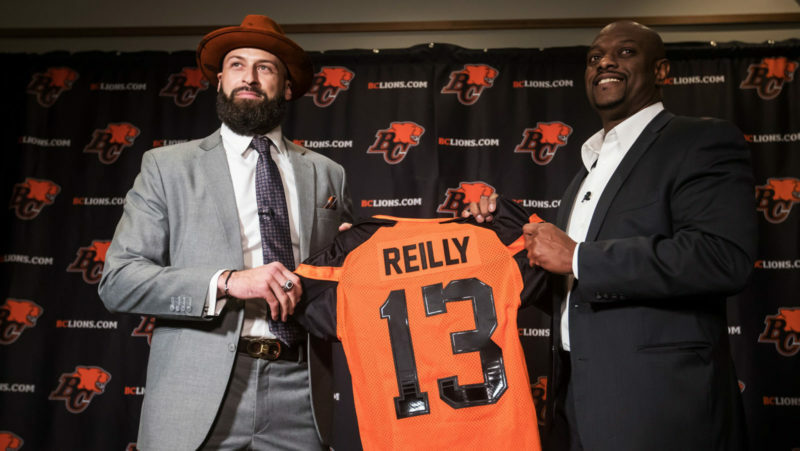 BC Lions president and CEO Dennis Skulsky is in Kamloops over the weekend for his first training camp as the Lions’ top executive. “Somone better get knocked out.” – defensive assistant coach Barron Miles after consecutive long runs by Toddrick Pendland and Yonus Davis. Next Up: Monday, June 7 – two sessions (8:20 am – 10:55 am & 4:00 pm – 6:00 pm). 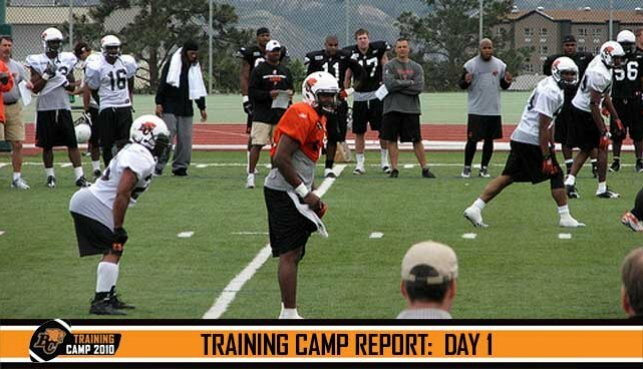 Click here for more information about 2010 BC Lions Training Camp.